founded by one woman who longed for adventure and spent a year traveling around the world. 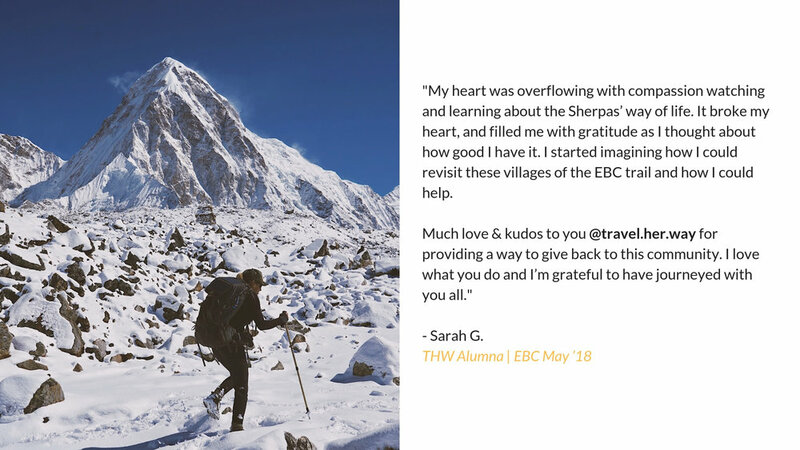 We help women explore the world, build lasting friendships, and be a helping hand to the communities that give us so much. We have scavenged the globe in search of the extraordinary. Our handcrafted tours take you to places off the beaten path for an immersive experience in a new culture. 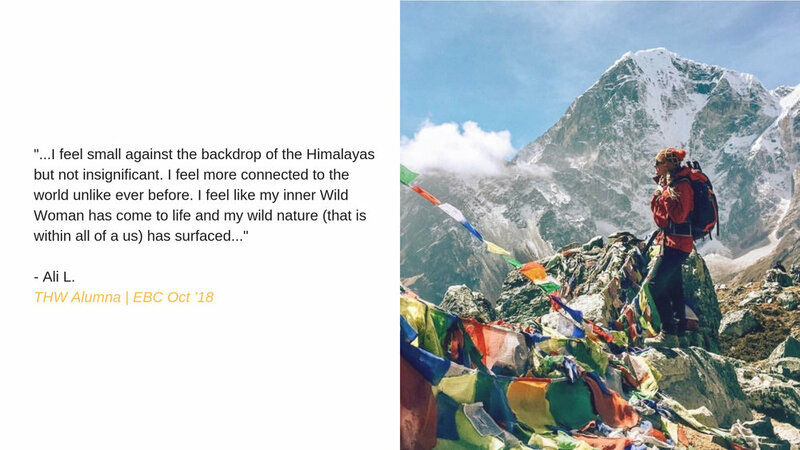 Read The Travel Stories That Have Changed The Lives Of Our Favorite Adventuresses. 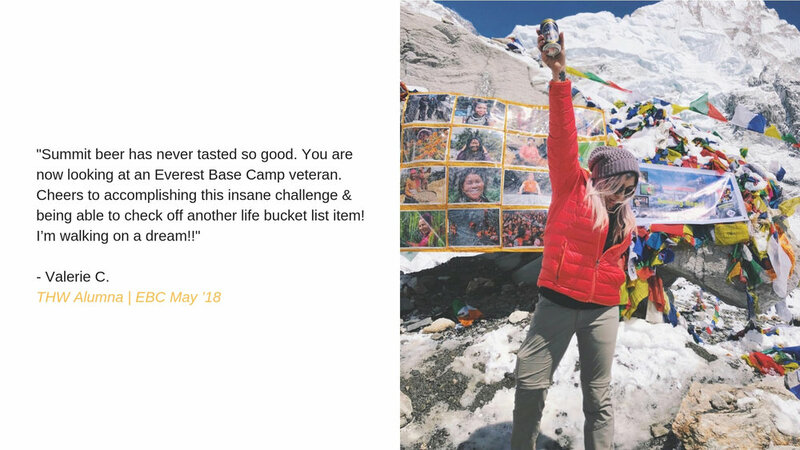 Lacy Bauer, who joined our Everest Base Camp Trek in May, has created a serious of short videos to blog this life-changing adventure. Lacy has shared how she learn and grow and conquer the challenge. We hope you enjoy it! I started living in my 144” WB Mercedes Sprinter High Roof van full-time with my partner in June of 2017. I’ve always been eager to travel and wanted to focus a bit on my home-country, so this was the perfect opportunity to do so. I really liked the idea of being able to bounce around and have the freedom to wake up every day and decide what I felt like doing, instead of planning every detail of a trip out.